As a leading provider of health advisory services to businesses, we’re committed to sharing our insights on innovative approaches to helping employees protect their health and stay healthy and productive. This post explores the effects of informal caregiving on businesses and employees. Employers understand that there are both mental and physical aspects to keeping employees healthy that can affect both their well-being and their productivity at work. Helping employees maintain mental well-being is as important as providing resources to help them stay physically healthy. One essential component of that equation is work-life balance, which can be difficult for employees to achieve if they’re also acting as informal caregivers for ill or aging family members in their homes. This is a difficult role for anyone to play, and it can take employees’ focus away from work and have a significant negative effect on productivity. How has informal caregiving impacted the economy? Earlier in 2014, a RAND Corporation study indicated that the primary source of eldercare in the U.S. is informal and unpaid caregiving provided by friends and family. This costs caregivers about $522 billion a year in lost income. These results mesh with another Gallup study from 2011, in which researchers evaluated adults from across the U.S. who had worked at least 15 hours a week. Based on this subset, they estimated that 17.1 percent of all full-time employees in the country looked after relatives as informal caregivers. When considering part-time employees as well, the number of caregivers goes up even more. These people look after family members, young and elderly, who are living with conditions that include autism, birth defects, stroke, heart disease, diabetes, depression, Parkinson’s disease, post-traumatic stress disorder and multiple sclerosis. On average, caregiving duties pull an individual employee away from his or her job for 6.6 days a year. Collectively, caregiving costs the nation more than 126 million lost days of productivity among full-time employees every year. The total annual cost of informal caregiving for the country is about $25.2 billion in lost productivity. 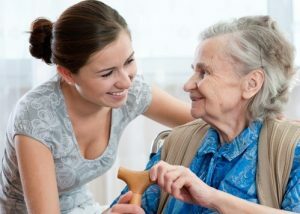 Further complicating matters is the possibility that these figures underestimate the true burden of informal caregiving. Unlike most jobs in the U.S., being a caregiver is not limited to an eight-hour work schedule. This role often requires people to be on call around the clock. This lack of work-life balance can take a toll on employees’ health and psychological well-being. According to Gallup research, common physical ailments for informal caregivers include high blood pressure, recurrent pain in the back and neck, and fatigue. Meanwhile, they’re more likely than non-caregivers to experience depression and high levels of stress. To rectify these problems, employers are beginning to evaluate options for helping employees balance and manage their caregiving responsibilities. Personal health advisors have often helped executives manage the burden for coordination of medical decision-making and healthcare that is often required when caring for a loved one with health problems. This support helps to eliminate much of the workplace distraction and frees up time for the employee to balance other caregiver and workplace needs. Private health advisory and other health advocacy services can also assist with connecting employees to a wide range of services, such as support groups, financial/legal advisors, assisted living counselors and more. The benefits of health advisory support can enhance employees’ focus at work, having a positive effect on productivity.